The yellowfin sole is also called Limanda aspera. The fish can be found in the Pacific Ocean, which is also known as FAO fishing area 67. The yellowfin sole can be found in the Sea of Japan and the Sea of Okhotsk too. 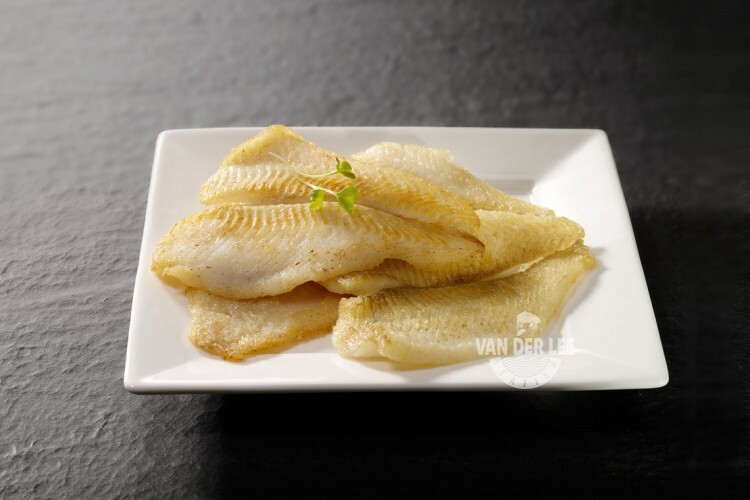 Since the Pacific Ocean is quite far away from the Netherlands we have to import our yellowfin sole fillets from China. First the yellowfin sole is caught by trawlers from the United States or Russia. After it is caught the fish is brought to China where they process it. When the yellowfin sole fillets are processed and packaged they will be transported to our company in the Netherlands. As a supplier we can guarantee you that our imported fish meets our high standards in terms of quality and food safety since we know our suppliers personally. As a supplier we sell our yellowfin sole fillets skinless, skin on, single and married. We also have the Limanda limanda (common dab) available at our ‘North Sea Fish’-page. Yellowfin sole fillets have a firm and delicate texture and a mild and sweet flavour. They are also sometimes used as an alternative to plaice because they resemble each other in texture and taste. However, the nutritional value of the fishes are different. One hundred grams of yellowfin sole fillets contain around 85 calories. They also contain some vitamins, including some B vitamins. Yellowfin sole fillets are a good source of protein too, just like every fish. We mainly export our yellowfin sole fillets to the catering industry and retailers in Italy, Spain, Germany, Denmark and Poland. However, the fish is also well-known in other countries. In Belgium for example they like to eat yellowfin sole rolls. Those rolls can also be filled up with other fish, such as salmon. Yellowfin sole fillets are mostly eaten as a main dish. They are often served with vegetables and even with pasta as a side dish. Another way to serve the fillets is to serve them with lemon wedges and parsley. Yellowfin sole fillets are also often served with a caper dressing or a wine dill sauce.